Avengers: Infinity War will predominantly see Thanos' story unfold however there is one Marvel superhero who has the most screen time in the movie. A new Avengers: Infinity War trailer dropped on Friday and Marvel fans went crazy. The new trailer gave fans the first look at the Black Order, teased the epic battle at Wakanda and the quirky relationship between MCU characters. Soon after the epic trailer dropped, director Joe Russo of the Russo Brothers dropped a few spoilers from the movie that has got us furthermore excited about the Avengers movie. Earlier this year, the director had confirmed that Infinity War is ideally Thanos' movie. The character has been teased several times in the past but it is Avengers 3 that the character will finally get his space and his story will be explored. Speaking to Fandango, Joe reinstated that fact and also added that apart from the Mad Titan, Thor will have the most screen space. "So I think Thanos has an incredible amount of screen time, and I think you'll find that Thor has a really interesting arc in the film. He hasn't been at the forefront of other Avengers movies but he certainly has a very important role in this film. So I'll say, Thanos and Thor," he said while speaking about the screen time. It makes sense – Thor is the one who stumbled upon Thanos' ship in Ragnarok's post-credits scene. It is the God of Thunder who meets the Guardians of the Galaxy, is later joined by other Avengers to participate in the Infinity War. 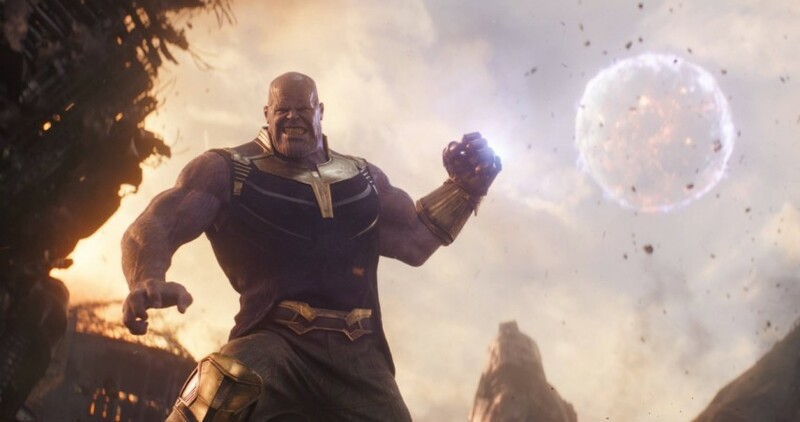 While these connections have been established in the previous movies, Thanos' character hasn't been explored in the past movies but this will not stop Thanos from being the hero of the movie. "Even though he's not a character that had a huge preexisting story in the Marvel universe. He was a threat but he was not developed in any way up to this point. Thanos has an incredible amount of screen time in this film, in a lot of ways I would say it's his movie," Russo said. "We wanted to tell a story that they weren't expecting, and the story is told from the point of view of a villain, which I think is also really unique and risky for a commercial film that will surprise the audience," he added. Although Thor and Thanos taking the lead in Infinity War, fans shouldn't be disappointed if their superhero is given less time in Infinity War. The director has assured that if a few characters take back seats in Infinity War, they will be in the forefront in Avengers 4. "We knew that because we had two films, Avengers 3 and 4, that in one movie we could push people to the forefront but then we could pull back in the second film and push other characters to the forefront who had less screen time in the first movie," Russo revealed. "We did have the opportunity to divide it up that way. So if you feel like one of your favorite characters didn't get enough screen time in Avengers 3, well then wait 'til Avengers 4," he shared.